We’ve noticed a consistent gap in workplace conversations. To convey understanding, most people say “I understand,” “I appreciate that,” or “I get it” and then wait for their turn to speak. If the other person belabors his or her point, most people simply repeat those same phrases. Few go so far as to summarize in their own words what the other person is saying and ask if their summary is on target. Why bother with the extra effort? Well, maybe you think you understand, but in reality you don’t fully grasp what the other is saying. Or, maybe the other person can’t find the right words and could use your help finding them. By 1) briefly summarizing what you think the other person is saying, 2) asking him or her if you’ve got it right, 3) repeating these first two steps if necessary, and 4) ultimately getting an affirmative response, you’re showing you understand. This practice is particularly important when others have been talking for a while, and especially if they’ve been repeating themselves. While it may seem unnecessary to check your understanding when others have been repeating themselves, this is exactly when checking is the most helpful. Repetition is usually a signal that the other person doesn’t feel heard, or believes you’re missing their point. Paraphrasing and getting affirmation ends the repetition because now you’ve shown that you understand, and the other person sees that more repetition isn’t needed. 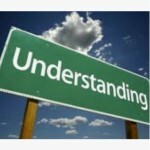 So, if the conversation is important and your goal is mutual understanding, show that you understand first.